The Meyer spruce tree (Picea pungens) is native to Colorado, Utah and Wyoming. Meyer spruce trees are very hardy, thriving particularly well in hardiness zones 3 through 8. Meyer spruce are very hardy and for the most part drought-tolerant. This particular spruce will grow an average of 12 inches annually and is especially useful for shelter belts. Find the best location for your Meyer spruce. Obtain a soil-test kit from your county extension office and take a sample of the area where the tree will be planted. Meyer spruce prefer mildly acidic soils with a pH between 5.5 to 7.0. Meyer spruce also prefer at least eight hours of sunlight daily for optimal growth, so avoid planting the tree in an area that has a high amount of shade. Dig the hole for your Meyer spruce. The hole should be three times as large as the tree's root ball, but only as deep as the root ball. Fill the hole with water using a garden hose and let the water sink into the soil. 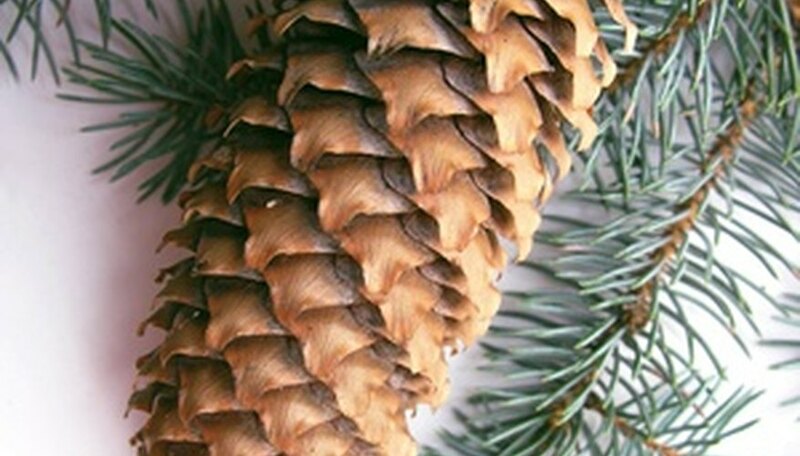 Plant the Meyer spruce. Place the Meyer spruce into the middle of the hole and fill in the rest of the hole with the loose dirt. Press the dirt firmly into place with your feet. Leave a 1-foot tree well under the tree. The tree well should have a radius of 3 feet from the trunk. Water the tree. Fill the tree well with water and allow the water to sink completely into the ground. Repeat this process again for a deep watering. Water the plant again using this process whenever the soil dries out at 2 inches below the soil line. "ABC's of West Coast Gardening"; Mary Palmer; 2002.